 Carpet Court is Australia’s largest flooring retailer with over 200 locally owned and operated stores. 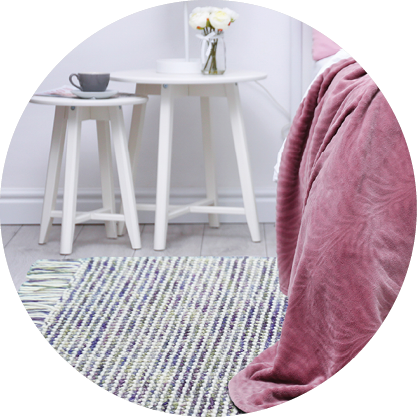 With such a large product range, it's great to know that you can find a rug for almost every area of your home from the one retailer. 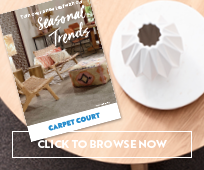 Whether you are searching for a rug for your dining space, living room, outdoor alfresco area or childrens room, you are sure to find the perfect solution at Carpet Court. 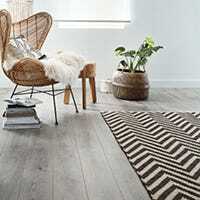 Browse our stunning collection of rugs which includes synthetic and natural varieties in a range of on trend styles and colours. Area rugs are simply floor rugs which define a space in any room of the home as well as providing a host of practical and aesthetic benefits. You can even place an area rug outdoors in your undercover entertaining space to create a unifying frame around your outdoor furniture, soften the hard surface under foot and provide visual appeal. If the concept of outdoor rugs is news to you, check out the gorgeous colours, styles and patterns in our Alfresco rug collection. An outdoor rug can transform your outdoor dining space and cover any unsightly stains on your pavers or concrete so easily! To unite the furniture and make your defined interior spaces appear larger, your area rugs should be as large as possible, with part or all of each major piece of furniture touching the rug. 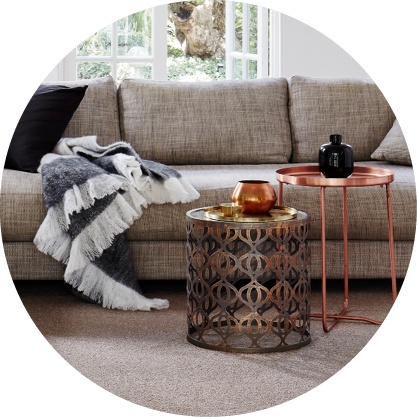 In your lounge area this means all or part of your sofa, lounge chairs and occasional tables should be on the rug. 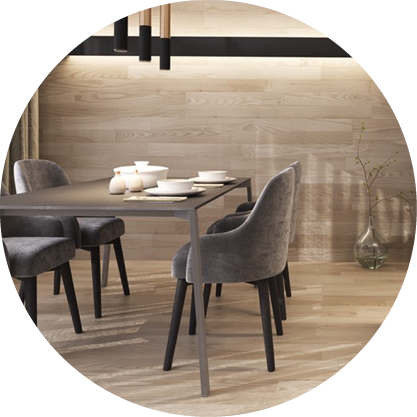 In your dining space there should be a substantial portion of rug around the table and all of the chairs when pulled out. Measure the space before buying your new area rug to be sure it will create the desired effect. What sizes do area rugs come in? Area rugs from Carpet Court’s extensive selection come in a range of dimensions to suit both large and small spaces. 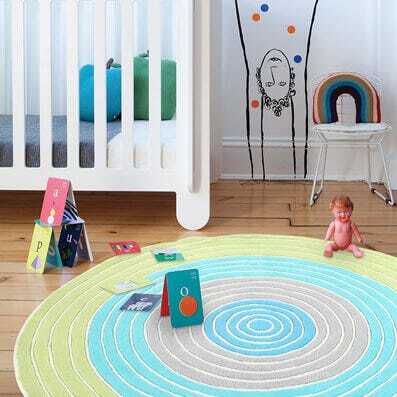 A sassy little round rug as small as 1.2m x 1.2m lift the mood in a poky space just as effectively as a massive 4.0m x 3.0m sumptuous rectangular rug filling the space in a large room or open plan area. 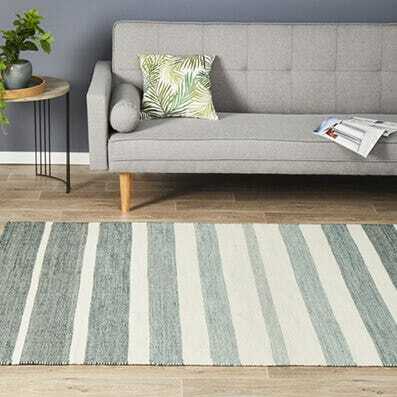 For your average sized bedrooms or living zones there are a host of rugs in varied sizes on display at selected Carpet Court stores, or an entire collection to browse right here with easy online ordering and delivery. 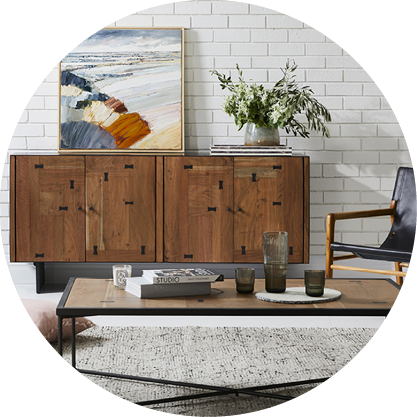 What colours and patterns of area rugs are available? 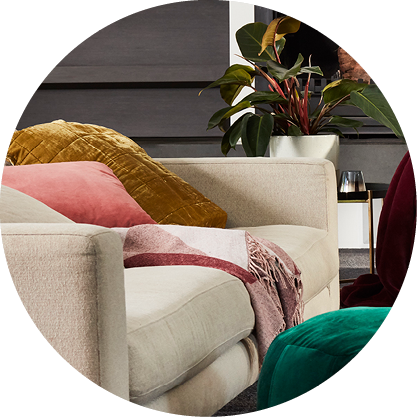 Whether you want an area rug in neutral tones to act as a base to your chosen colour scheme or in vibrant colours to be a strong statement piece, our vast selection is sure to have the colours, patterns and designs you seek. From a cool and classic cream to a bold and beautiful black, with several on-trend shades of grey in between, the stunning Dasha rug collection will bring sophistication to your living space. To brighten a sunroom or kitchen, Atrium Multi brings a rainbow of colours to your indoors while a splash of colour is easily added to a neutral interior colour scheme with any of the colourful Gemini rugs in various designs. For a lively element check out the visually stunning Botanical range and lovers of geometric designs will adore the graphic lines and contemporary splendour of the Haven and Icon collections. What are the benefits of having an area rug? 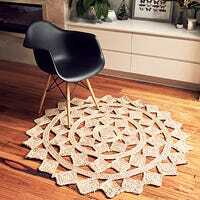 In some cultures rugs are hung on the walls as a form of art. But why not have art on the floor? Area rugs are a core ingredient in your chosen interior style, providing a base and setting the tone for the room. But the benefits of hardworking, multi-tasking rugs don’t stop there. 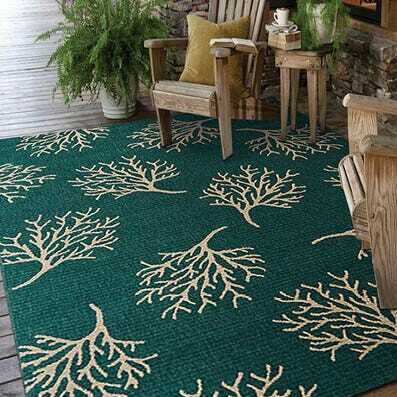 Area rugs add much needed insulation to the floors, trapping warmth and reducing the effects of cold, hard flooring. 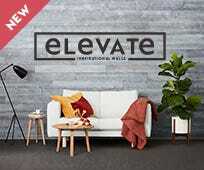 They serve as protection for your expensive carpet, timber, tiled or floating floors and can be easily replaced to provide a whole new look without the usual price tag that comes with extensive updates. How should you maintain your area rug? 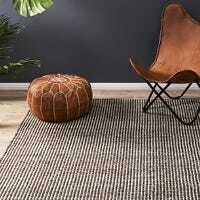 As our range of rugs includes a variety of fibres such as pure wool, wool blends, cotton, jute, acrylic, polypropylene and more, you should always follow the manufacturer’s instructions with regard to the care and maintenance of your area rug. And here’s a tip: buying a reversible rug means you can simply flip it over if any accidental stains occur!